So much love and care has gone into crafting your Clobber Australian-made footwear. Here are some tips on how to keep them at their best. 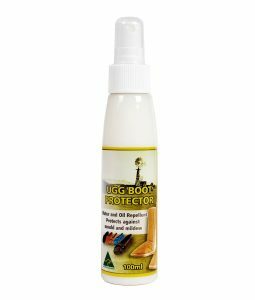 As soon as you get your new Clobber footwear, we recommend you apply the ugg boot protector spray all over the outer surface of the sheepskin to guard your boots against water, oil and to resist soiling. We recommend this be repeated at least at the beginning of each winter season in shorter winters. For longer winters – particularly in snow environments – repeat a couple of times a season. Protector spray is available from Clobber Australia. Tip: Your Clobber sheepskin footwear will stay in pristine shape for longer if you avoid putting them on dirty or sweaty feet. If you have a mark on your footwear, we recommend a slightly damp soft cloth or sponge be used very gently. For stubborn marks, you can add a drop of wool wash. Wipe with a soft cloth or sponge until the shampoo is removed. Then help dry the surface with a dye-fast cloth. 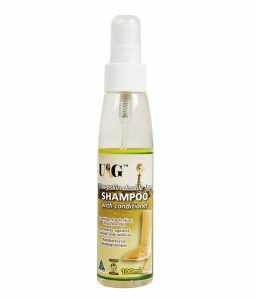 Wool shampoo with conditioner available from Clobber Australia – contains Australian Tea Tree Oil. To clean the whole boot, we recommend hand washing in lukewarm water with wool wash.
Then give them a good rinse with clean water, hand squeeze out excess water and allow them to dry in a well-ventilated, shady area. The natural drying process might take up to a week. Due to the unique nature of genuine sheepskin, it is important NOT to dry your footwear in direct sunlight or in front of a direct heat source. Tip: Clobber Australia sells separate sheepskin inner soles. So if your boots are well-worn and you want extra under-foot comfort, insert new inner soles.